How Far is Radhika Govindrajs IHITA? 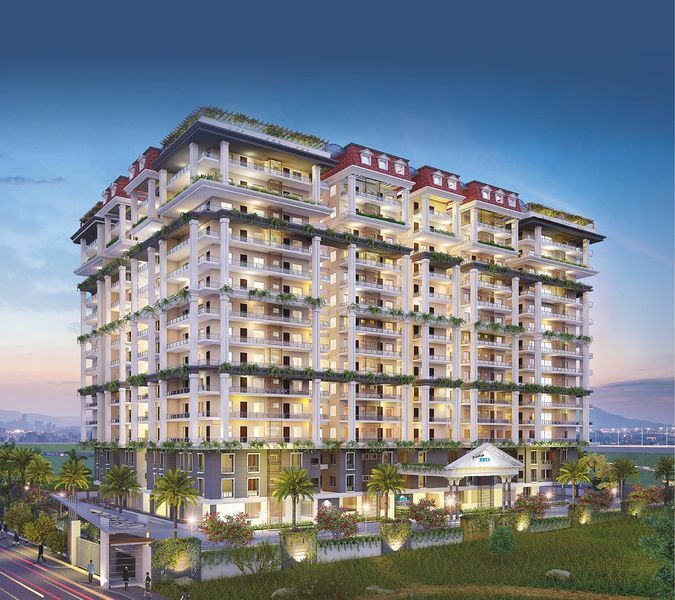 Radhika Govindrajs IHITA is one of the popular residential developments in Hyderabad. It is among the Ongoing project of its builder. It has lavish yet thoughtfully designed residences. R.C.C. Framed Structure in M 20 grade. 4 1/2" Walls with Light weight bricks in Cement Motor. Two coat plastering, for both internal and external walls, internal Lappam finishing in all rooms except toilets, kitchen and balconies. Take Wood door frames with teak wood shutters or designer door with melamine polishing and designer hardware of reputed make. Teak Wood frames with flush shutters and hardware of reputed make, enamel painting with lappam finish. Under ground sump for Bore well water and manjeera water. Provision for manjeera water connection. Exteriors - Road side elevation with BIRLA WALL CARE PUTTY painting with ACE Asian Paints. Doors - Melamine polish for main doors and enamel paint for internal doors. Standard make Shaver, Wash basin hot & cold valve mixer, EWC of standard make. Granite Platform with steel sink and provision for exhust fan, upgradable to designer, modular kitchen at extra cost. Standard Canceled wiring for lights, fans plug provision of A/c points in all bed rooms with modular switches of standard make. PVC pipelines and fittings for sanitary systems, UPVC pipeline and fitting for water supply system.